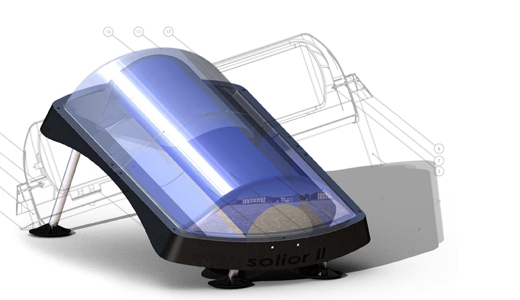 The Solior is redesigned with symmetrical and lighter elements. Production costs are reduced with 20 percent, while its aesthetical value is increased. The use of high quality transparant and reflective materials enable a higher effiency (Yield). The characteristic and recognizable design gives the Solior its personal touch. It makes it a product to be proud of and be profitable for the consumer at the same time.